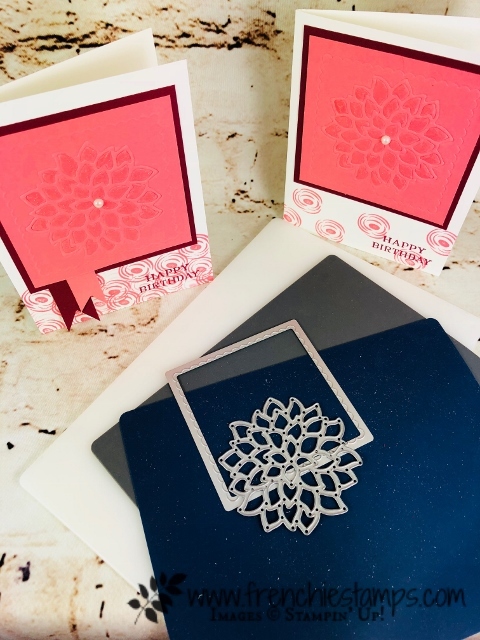 today tips is how to use the embossing mats to emboss twice on the same piece of card stock.I use the May Flowers Framelits and the square Framelits collection. So you will have a imprint and a emboss. One is raise and one is imprint. 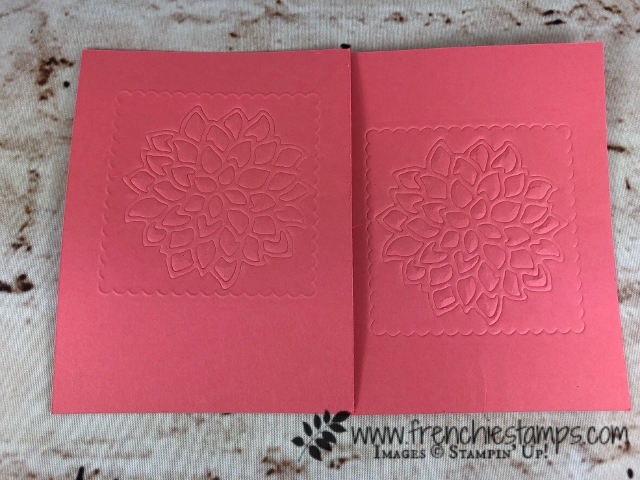 It is way cool with the embossing mats. I have the video at the bottom of this post or you can find it on my You Tube Chanel. 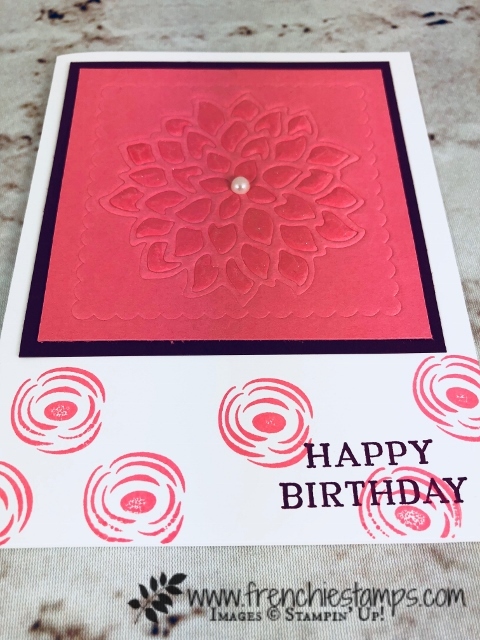 The stamping of the swirl are with flirty flamingo ink and the happy birthday is with lovely lipstick. 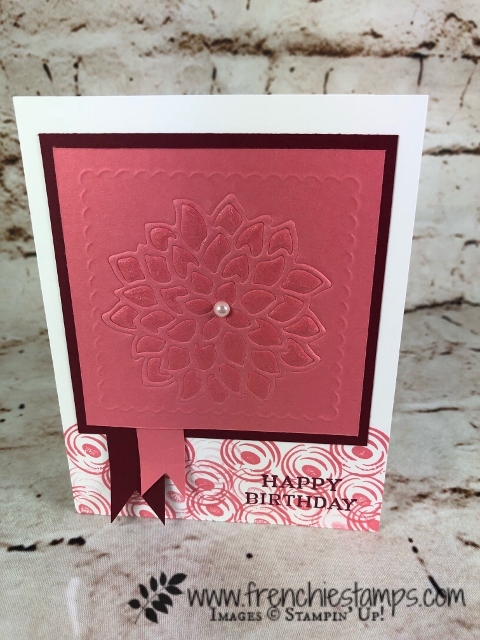 To add some bling I color the flower with wink of Stella and then a little pearl in the center Yes simple but that okay to be simple. 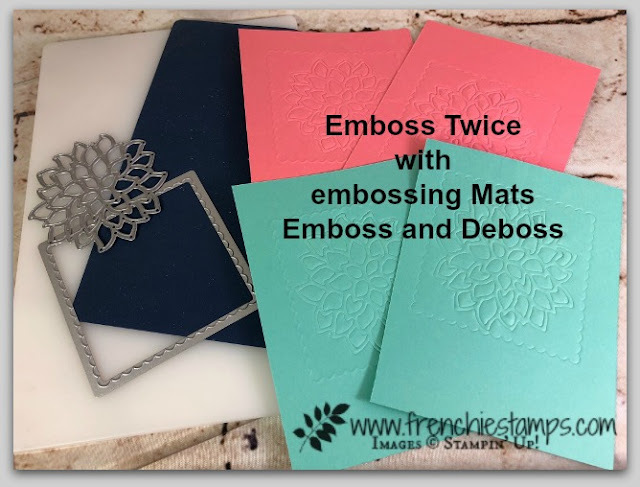 Here you can see the difference between the emboss and the deboss. 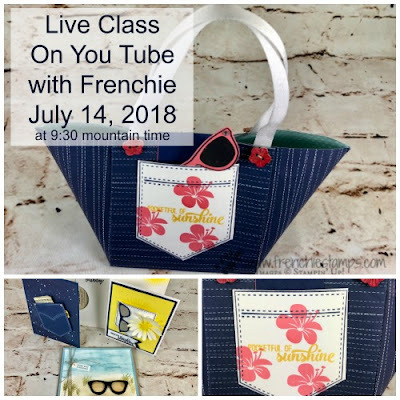 Well my friend this is all for today Have a great weekend and hope to see you live tomorrow morning for live class. 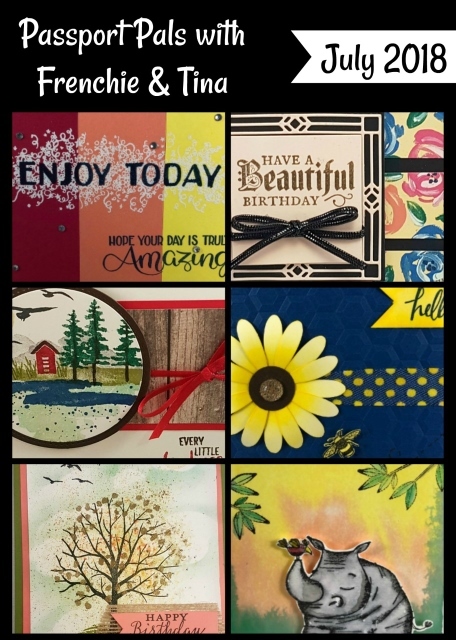 Good tip but how do you get rid of the crease just outside the image. 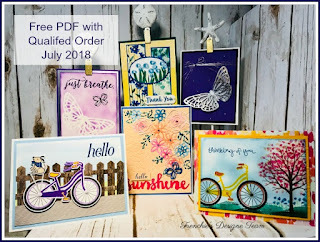 I struggle with that especially with the Happy and Celebrate embossing folders. I can never do them without the crease next to the word. Love this. Will have to try! !